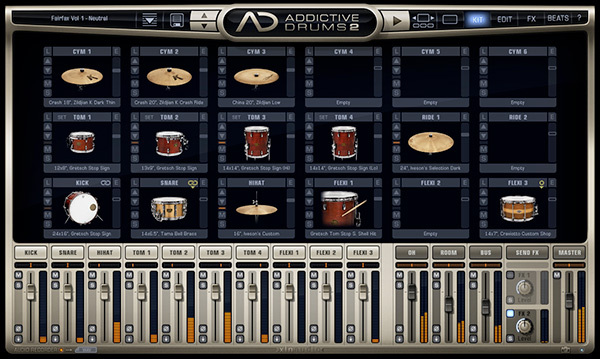 The XLN Audio Addictive Drums plug-in gives you amazing drum sounds, plus the ability to tweak them to your heart's content. 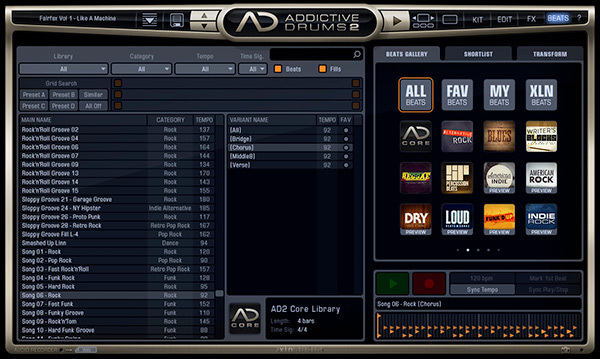 Designed with a wide variety of applications in mind, XLN Audio Addictive Drums lets you access all parameters, giving you complete control over the thousands of included grooves and beats. You can obtain the realistic sounds of a miked acoustic kit, or manipulate the samples for some truly unique drum textures. 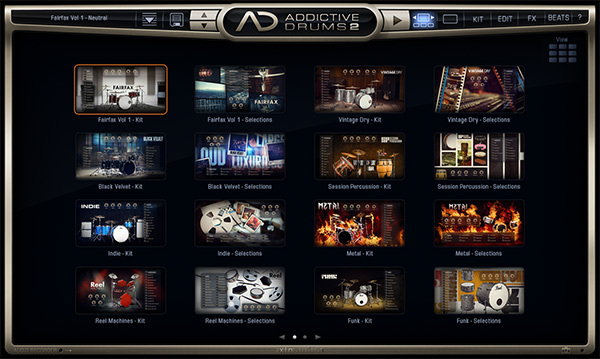 Drum programming experts and beginners alike will be inspired by the easy-to-use, comprehensive features of XLN Audio's Addictive Drums. 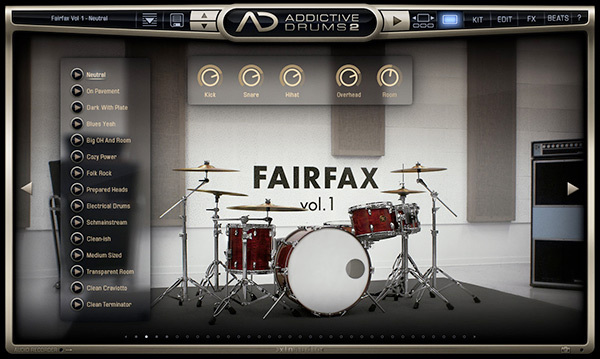 XLN Audio Addictive Drums is built on three essential components of a world class drum studio: incredible multi-mic samples of a wide variety of premium drums, full production tools to tweak the sonic qualities of the kit (including envelopes, tuning, insert effects, reverbs, overhead and room mic control), and a full suite of more than 3000 built-in beats and grooves. 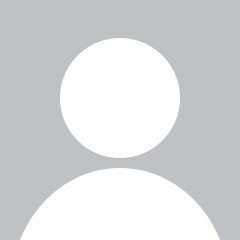 You'll be able to get up and running quickly and easily, whether you're an experienced drum programmer or an aspiring experimenter. 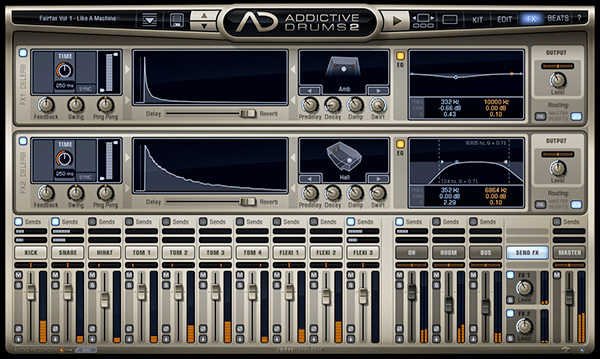 Addictive Drums can sound extremely realistic, producing true acoustic drums, but it can also be tweaked and manipulated into machine-like kits or weird rhythmic effects. 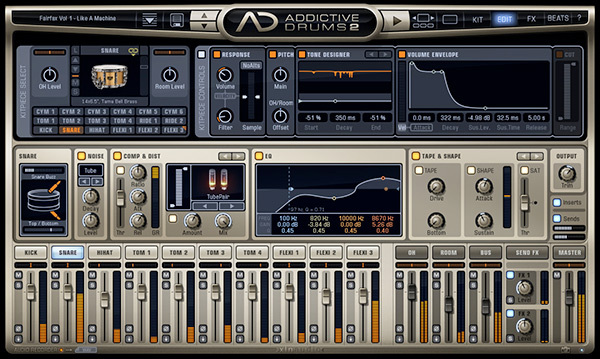 Addictive Drums is unique in its ability to deliver in a wide array of production styles. 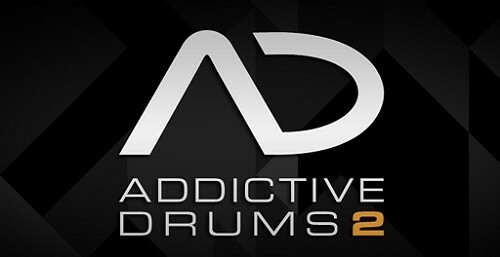 Compatible with both Macintosh and Windows platforms (including Intel Macs), Addictive Drums ships in all major plug-in formats (AudioUnit, RTAS, VST). It is fully compatible with every major sequencing host, including Apple Logic, Digidesign Pro Tools, Steinberg Cubase and Nuendo, Cakewalk Sonar, Ableton Live, FL Studio, Mackie Tracktion, MOTU Digital Performer and Apple GarageBand.